Gain access to European markets with a team of reliable experts that can guide you through the CE Marking process. The CE marking can be found on products sold outside the EEA, even those manufactured in, or designed to be sold in the EEA. The CE marking is recognized worldwide. The letters "CE" stand for the French phrase "Conformité Européene," which means "European Conformity." The term first used was "EC Mark." It was replaced by "CE Marking" in 1993. If you’re a manufacturer seeking access to markets in Europe, CE Marking is generally required. CE Marking ensures compliance with relevant European health, safety, and environmental protection legislation. 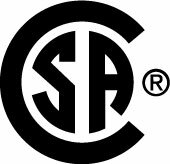 CSA Group will work closely with your product team, guiding them through all the steps to obtain CE Marking. We can pave the way for you to get your products into the EU market – with speed and efficiency. The right certification mark on your product can open doors to markets you seek in the U.S., Canada, Europe, Asia, and the rest of the world. We offer expert services and custom solutions that help speed your product to market while helping ensure compliance and safety.